A versatile clay that provides extreme hold, extreme texture, separation, matt finish and UV protection. Anyone who wants to achieve texture with matt finish. Won’t overpower fine hair, will make it feel fuller. 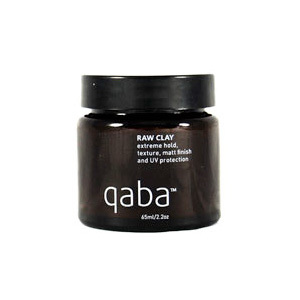 Rub a small amount of qaba raw clay into palms and work through dry or slightly damp hair to desired style. Mixes well with any qaba product, Whether it’s any styling product, essential hair & scalp oil, leave in-treatment or conditioner to achieve any look.